The trailer has arrived for the upcoming British action flick. 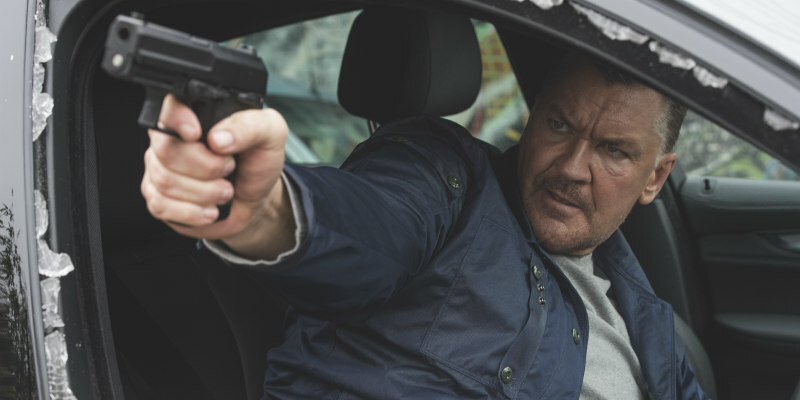 Director Mark McQueen's crime thriller London Heist sees Craig Fairbrass play an armed robber out to exact revenge on those responsible for the murder of his father. The film hits DVD and digital download July 17th, and a trailer has hit the internet. London’s criminal underworld is in for the shock of its life this summer as career, crime and personal revenge collide to explosive effect in LONDON HEIST, coming to DVD and digital download from July 17th, courtesy of Lionsgate Home Entertainment. Directed by the BAFTA-nominated Mark McQueen, LONDON HEIST is a gripping revenge thriller set against the backdrop of the gritty streets of London and the hedonistic glamour of Spain’s seductive Costa Del Sol. With a supporting cast that also includes James Cosmo (TV’s Game of Thrones) Steven Berkoff (The Krays), Nick Moran (Lock, Stock and Two Smoking Barrels) and Roland Manookian (The Business), LONDON HEIST will quite literally kick off your summer in explosive style.